THE House of Representatives unanimously approved on third and final reading House Bills (HB) 8884 and 8885, which seek to provide cheaper transportation for students, senior citizens and persons with disabilities (PWDs). HB 8884, principally authored by Representative Arlene Arcillas (1st District, Laguna), received 178 positive votes and without abstention. It seeks to expand the coverage of travel tax exemption in the country and provide a 20 percent travel tax discount to senior citizens and PWDs. Students, athletes, academic participants, and pageant contestants, who bring honor to the country, shall now receive incentives through travel tax discounts. HB 8884 also seeks to amend Presidential Decree 1183 and specify that travel tax exemption may now be availed by the following: (a) students who represent their schools and the country in international sports tournaments and academic competitions, as well as (b) Philippine representatives to academic conferences and competitions, to international sports competitions, and to international beauty pageants. It further stipulates that senior citizens and PWDs shall be granted 20 percent discount on travel tax imposed on first class and economy class passages. Meanwhile, HB 8885, principally authored by Representative Alfred Vargas (5th District, Quezon City), received 169 affirmative votes, also without abstention. It seeks to grant 20 percent fare discount privileges on public transportation for enrolled students. “The bill seeks to address economic concerns and the alarming rate of school drop-out. This will alleviate the burden of parents and guardians in the financial support given to the students with due consideration to the continued rise in the cost of education in the country, including their incidental expenses, e.g. transportation costs,” said Vargas. This measure aims to empower students by enabling them to pursue their education to help them acquire gainful employment, thereby securing their future. Students shall receive 20 percent discount on the regular domestic fares of all public transportation utilities, including land, rail, sea, and air. This will be granted upon the presentation of a duly-issued and validated identification card or current validated enrollment form that is supported by proof of identity. The bill specifies that any individual who uses falsified identification documents shall be denied of these privileges and may be subject to civil and penal liabilities prescribed by law. This privilege shall be available during the entire period that the student is enrolled, including weekends and holidays. Students who are deprived of these benefits by operators may file complaints with the following: (a) Land Transportation Franchising and Regulatory Board for land transportation, (b) Maritime Industry Authority for water public transportation, (c) Civil Aeronautics Board for air transportation utilities, (d) Legal Service of the Department of Transportation for rail, and (e) Office of the Local Chief Executive of the local government unit for tricycles. The measure also seeks to allow the public transportation utility operator to claim the student fare discount as tax deduction based on their rendered services. 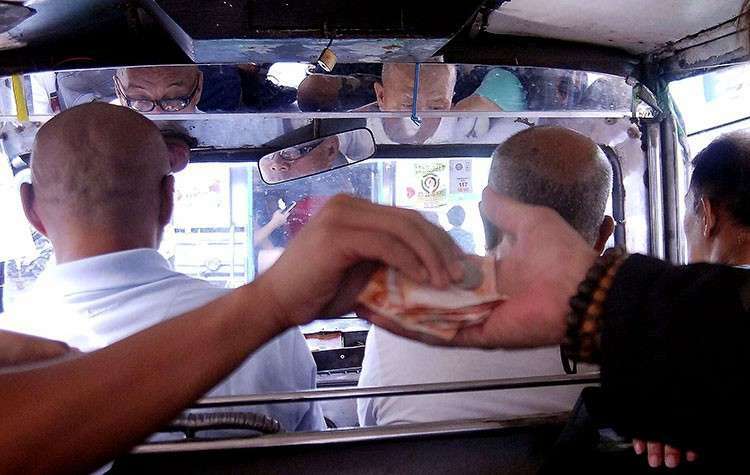 To provide additional relief and support to operators, the appropriate government agencies in charge of regulating public land transportation fares may determine other alternatives, such as the reduction or exemption from some regulatory fees and charges, among others.